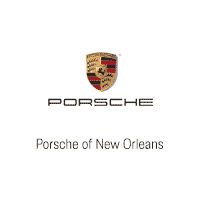 Could a Porsche Boxster Lease From a Dealership Near Marrero, LA, Be Right for You? A lot of people don’t even consider a Porsche Boxster lease when they are searching for the best car prices. After all, most people tend to choose getting an auto loan over signing a lease. However, that doesn’t mean getting financing is inherently better than a lease. A ton of people in the Marrero, LA, area can benefit from getting their car this way, and you may just be one of them. Here are a few things to consider when you are trying to decide if this is the way you want to acquire your vehicle. One of the main benefits of a Porsche Boxster lease is the fact that you won’t have to spend as much money upfront. When you buy, you have to think about how you’re going to come up with a hefty down payment. But you won’t have to worry about that when you lease. The upfront fees are much lower, which is great for those who don’t want to drop a lot of money on their cars right away. Just because you won’t have to pay a lot for a lease upfront doesn’t mean that your finances can be in disarray. In fact, you’re going to need an excellent credit score if you want to sign a Porsche Boxster lease. The requirements for a lease are generally more stringent than they would be if you were to buy, so keep this in mind when you are trying to decide. If you already have a great credit score, this is probably a good option for you. But if not, you may want to consider buying instead. One of the downsides of signing a Porsche Boxster lease is the fact that you’re probably going to have to deal with mileage caps. These stipulate that you can only drive a certain number of miles every year over the course of your lease. If you take road trips or drive around town a lot, that may be ideal. But if you aren’t always in and out of your car, you may not mind this so much. When you are ready to find the Porsche Boxster lease that best fits your needs, come to Porsche of New Orleans.